Provide comfort for the family of Laura Baker with a meaningful gesture of sympathy. 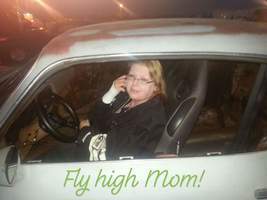 Laura Denard Baker, 51, of Teague, Texas passed away December 23, 2018. A memorial service celebrating her life will be at 11:00 am Saturday December, 29, 2018 at OakCrest Funeral Home, with Rev. Greg Brumit, officiating. Laura was born March 13, 1967 in Riesel, Texas to Tommy Lee and Frankie Joy (Skinner) Denard. She graduated from Riesel High School. She became a veterinary tech for large and exotic animals. She loved her work very much. Laura enjoyed auto racing and loved driving her green camero. She was a hard working and loving lady always ready to help others. Laura is survived by her son James Thomas (JT) Baker; grandson, Bryan Baker, spouse Jamie Murphy; and many family and friends. To send flowers in memory of Laura Denard Baker, please visit our Heartfelt Sympathies Store. Provide comfort for the family of Laura Denard Baker by sending flowers. Please accept my sincerest condolences for your loss of Laura . It is so hard to loose a family member especially at the young age of 51. Please remember that we are promised by Jesus that we will have an opportunity to be reunited with our loved ones again here on earth. John 5:28+29 gives us such a wonderful hope, please read it for yourself or go to jw.org for more information or take advantage of the on line bible study.Please be encouraged by these things as I was when I lost my Dad.